Rashpal Singh has 920 articles published. Jos Buttler has finally broken his silence on the ‘mankading’ incident between him and Ravichandran Ashwin in Rajasthan Royals’ season-opener against Kings XI Punjab on March 25, and conceded that the wrong decision was made by the third umpire. 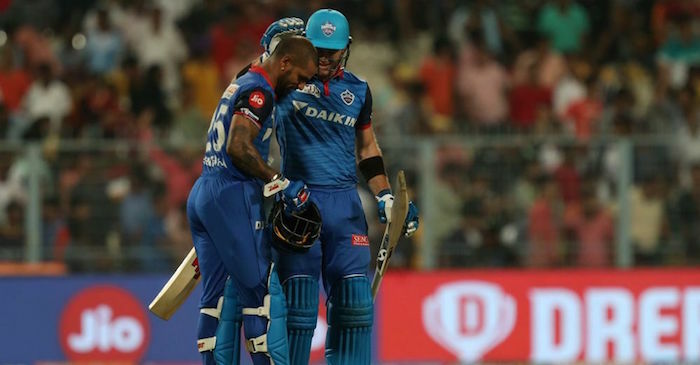 Buttler was mankaded by Ashwin when the Royals opener was batting on 69 with his team cruising in the 185-run chase at the Sawai Mansingh stadium in Jaipur. The Royals were 108 for 2 when Buttler got run-out in the 13th over. KXIP completely collapsed after the controversial dismissal as they ended up with 164 for 9, losing the match by 14 runs. “At the time, I was ­really disappointed with it. I didn’t like the style of it,” England wicketkeeper-batsman Buttler told the Daily Mirror. Ashwin was heavily criticised on social media over the dismissal by a number of current and former players while Buttler did not join them, the Englishman admitted it left a bad taste in his mouth. “I didn’t like what had happened. I just thought it was a bad precedent at the start of the tournament,” he said. “I’d hope, whether it was a written thing or not, that ­players – as custodians of the game, role models to young kids and professional people – would carry themselves in a certain way and play the game hard and competitive, but play in what I perceive to be the right way, which is in a good spirit,” Buttler added. Kolkata Knight Riders opening batsman, Chris Lynn scored a blazing 43 off 31 balls, which included a six out of the Chinnaswamy stadium, during his side’s victory over the Royal Challengers Bangalore (RCB) in Match 17 of the Indian Premier League (IPL). Lynn pipped Chris Gayle to hit the biggest six of the IPL 2019. The 28-year-old smashed a Yuzvendra Chahal delivery in the last over of the powerplay for a 102-meter six. Lynn charged down the pitch and picked the wrong-un from Chahal, launching the ball out of the stadium. “It’s gone into orbit,” the commentator said as Chahal could only smile at the monster hit. The Knight Riders won the match after chasing down 205 runs with five balls to spare thanks to a masterclass from all-rounder Andre Russell. The defending champions, Chennai Super Kings, star all-rounder Dwayne Bravo has been ruled of the ongoing IPL for two weeks due to a Grade 1 hamstring tear. The 35-year old had succumbed to injury while batting during CSK’s last match against Mumbai Indians at the Wankhede stadium on Wednesday. 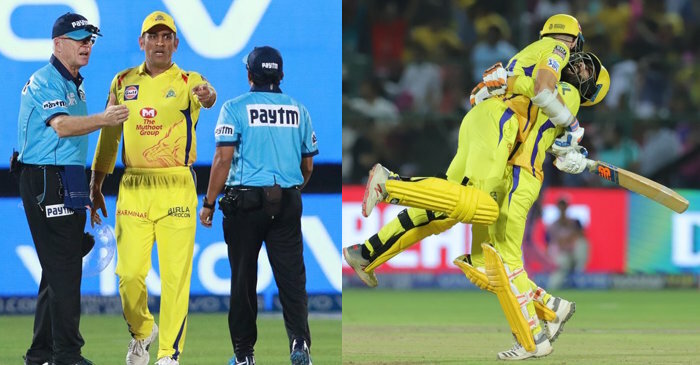 Having registered their maiden loss in the IPL 2019 after losing the match by 37 runs, CSK has received another blow in the form of their premier death bowler being ruled out. Former Australia cricketer and current batting coach of CSK, Michael Hussey, confirmed the news ahead of the match against Kings XI Punjab on Saturday. “It’s going to cause a little bit of rejigging of the team but I am sure we are going to be able to put together a very strong team. It’s a big loss but we have had these challenges in the past. Let’s hope we can do this again,” Hussey said. “I am sure MS [Dhoni] and [Stephen] Fleming will be looking at Scott Kuggeleijn and assessing his death bowling skills. We’ve got Shardul [Thakur]. Mohit [Sharma] can bowl at the death as well. “It’s about assessing the conditions. If it’s turning, I think one of the spinners can bowl at the death. I am sure there will be a lot of strategic thinking and it’s a key area of the game,” Hussey opened up regarding their death bowling options in the upcoming matches. Meanwhile, CSK has already been hit with overseas players missing out this season. Lungi Ngidi was ruled out before the start of the tournament while David Willey opted to sit out due to the birth of his second child. They, however, roped in New Zealand’s fast bowler Scott Kuggeleijn last week as a replacement for Ngidi. In T20 cricket, a 200-plus score is considered a daunting total. And when one man scores over 200 runs in a T20 match, it is unbelievable. According to newsroom.gy, former Windies cricketer Shivnarine Chanderpaul recently smashed 210 runs off just 76 balls in a local T20 tournament Adam Sanford Cricket4Life at Caribe Lumber Ballpark, St Maarten. More than half of his runs came from boundaries as he hit 25 fours and 13 sixes. 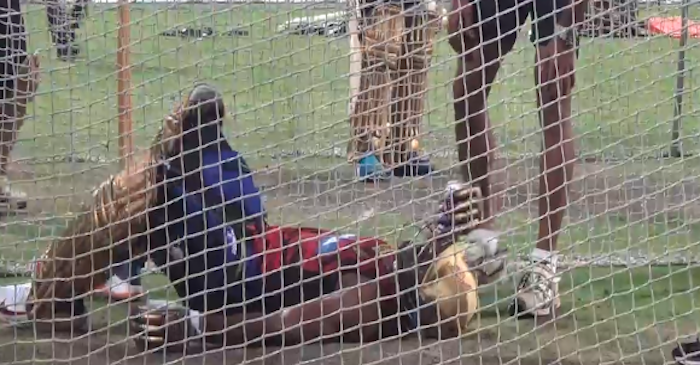 The 44-year-old opened the innings with Dwayne Smith against Mad Dogs, a team from the USA. On the back of the 210 runs, Chanderpaul’s team posted an ODI like score of 303 and won the games by 192 runs. Smith, on the other hand, scored 54 off 29 balls with the help of eight fours and two sixes. Unfortunately, it was not a recognised T20 match and therefore, Chanderpaul’s double century will not be considered the first in the T20 format. Even though it has been over 3 years since he retired from international cricket, Chanderpaul continues to play both domestic and local cricket tournaments, including playing with his son Tagenarine Chanderpaul from the same team. The southpaw played 3 IPL matches for the Royal Challengers Bangalore (RCB) in 2008 season, from which he scored 25 runs and was subsequently out of RCB’s playing XI for the next couple of games. He went unsold in the mega auctions for the next season. Sarfaraz Khan is only 21, but reputation precedes his name. Known as one of the most talented batsmen, the right-hander is also famous for pulling out some outlandish shots. And scoop shot is one of his favourites. The Kings XI Punjab batsman played an amazing scoop shot during his 39-run knock against Delhi Capitals (DC) in Mohali on Monday. In the ninth over of the KXIP innings, Sarfaraz scooped an Avesh Khan delivery by getting on his knees, and head bowed down. The ball sailed over wicketkeeper Rishabh Pant’s head for a boundary. After a 14 run-win over Delhi Capitals, Kings XI Punjab has climbed up to the number two position in the points table. They are behind Chennai Super Kings (CSK) who has a better run rate with an equal number of wins in one less game. Sri Lanka pacer Lasith Malinga continues to flip-flop as far as his participation in the ongoing Indian Premier League (IPL) is concerned. He joined the Mumbai Indians (MI) squad after their first game and will now be heading home on Wednesday to feature in the Super Provincial One Day Tournament. Therefore, the 35-year-old will skip a few more games for his franchise. “Yes, Malinga will be reaching Sri Lanka tomorrow and will be available for the provincial tournament,” Sri Lanka’s chief national selector Ashantha de Mel was quoted as saying to Sportstar. Mel also confirmed that it was Malinga who changed his mind. “He wanted to play the provincial tournament. Last week, we had agreed to release him for the entire IPL, but now he wants to play in this tournament,” he said. Meanwhile, MI will host the arch-rivals Chennai Super Kings (CSK) for Match 15 of the IPL 2019 at the Wankhede. At the moment, the home team’s bowling seems to be their weak forte. With Malinga going back home, they will now strengthen this department by bringing in the left-arm pacer Jason Behrendorff. After the conclusion of the UAE tour, the Australian speedster has finally arrived in India and is all set to participate in the marquee T20 league. Behrendorff was recently seen in a video posted by the MI Paltan on Twitter wherein he announced his arrival in Mumbai. The International Cricket Council (ICC), on Monday, announced that Virat Kohli-led India have won the ICC Test Championship mace and prize money of $1 million after finishing as the No. 1 Test team on the cut-off date of April 1. Kane Williamson-led New Zealand finished second on the ICC Test team rankings. Notably, India have won the ICC Test championship mace for the third consecutive year after their dominant performances both at home and overseas. India is now looking forward to the ICC Test Championship that will be played between 2019 and 2023. “Retaining the ICC Test Championship Mace once again is something we are all really proud of. Our team has been doing well across formats but it gives us extra pleasure to come out on top of the Test rankings,” the proud Indian skipper Virat Kohli said. “We all know of the importance of Test cricket and of how only the best can prosper in the format,” he added. India have been one of the most consistent Test playing nations over the last three years. Despite being on the road extensively for the last one year, India have been able to retain the top spot in the ICC Test rankings. In January this year, Kohli created history with a 2-1 series win over Australia in their own backyard as he became the first-ever Indian captain to win a series Down Under. 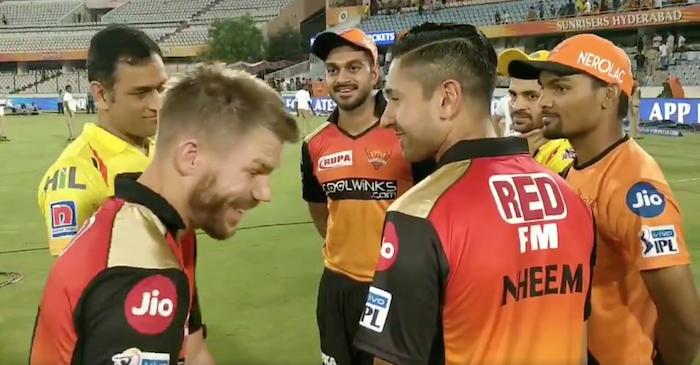 Virat Kohli-led Royal Challengers Bangalore (RCB) were handed a third straight defeat in the ongoing season of the Indian Premier League (IPL) on Sunday as the hosts Sunrisers Hyderabad (SRH) hammered the visitors by 118 runs. For SRH, Englishman Jonny Bairstow struck 114 from just 56 deliveries while Australia’s David Warner carried his bat for a 55-ball 100 in a record 185-run first-wicket partnership to post a mammoth 231 for two, a total which the visitors defended without any fuss. “One of our worst losses ever. Literally, nothing I can explain. Nothing went right for us from ball one until our last wicket fell in the second innings. We were outplayed in all departments by a quality side. 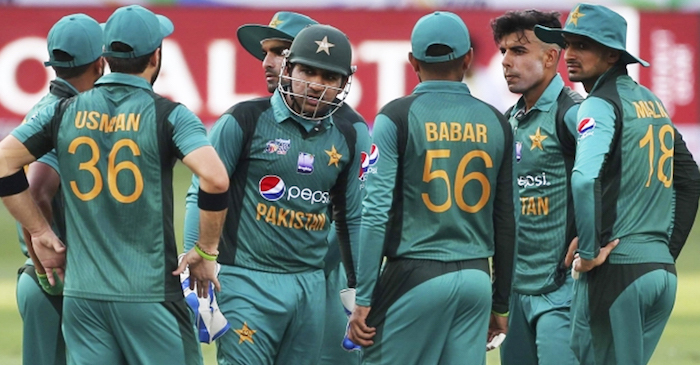 They showed that they are a champion side – they were finalists last time and beat us in the final (in 2016),” a dejected Kohli said to the broadcasters after the match. Kohli feels that the current batting line-up with himself at No.3 and AB de Villiers at No.4 suits his team the best and sounded confident they could turn things around over the next 11 league matches. “We still have 11 games, and things can turn around quite quickly in this league. We have to capitalize on that in the next games. When things don’t go our way, we will have to find ways of winning moments. You need to start well, and the next game should be that game for us,” the RCB skipper added. Meanwhile, Bhuvneshwar Kumar, the stand-in captain of SRH, lauded his bowling unit, especially the performance of Afghan all-rounder Mohammad Nabi, who picked up 4/11 in his first outing this season. “It shows how good a spinner he is (Nabi). He was spot on from the first ball. It was a good batting track in the second innings but our bowling was brilliant,” Bhuvi said. Cricket is more than just a game in India. It’s craze is such that almost every kid in the country has grown up playing ‘gully cricket’. India’s obsession with the game is such that one can find people of any age playing it on the street, road, garden, backyard, park, beach etc. Recently, former England captain Kevin Pietersen, who is in the country as a commentator for the ongoing 12th edition of the Indian Premier League (IPL), stopped by to play gully cricket with some kids in Bengaluru. “Just stopped on the side of the road to play gulley cricket in Bengaluru. Always wanted to do it! Today I did it!,” Pietersen wrote on his Twitter handle. Pietersen played for Royal Challengers Bangalore, Delhi Daredevils (now called Delhi Capitals) and the now-defunct Rising Pune Supergiant (RPS) in the IPL. Kings XI Punjab came back from jaws of defeat to win their first IPL 2019 encounter against Rajasthan Royals played at Sawai Man Singh Stadium, Jaipur on Monday. KXIP skipper Ravichandran Ashwin ‘mankaded’ Rajasthan Royals’ opener Jos Buttler, who was going hammer and tongs, sparked off a controversy and set social media ablaze. Ashwin, who was bowling his fourth over, saw Buttler, who had scored 68 off 42 balls with 10 fours and two sixes, walking out of his crease even before the ball was delivered and stopped to take the bails off. According to the laws of the game, the third umpire declared Buttler out and as expected the English cricketer seemed furious and had a heated exchange with Ashwin before leaving the field. The dismissal is sure to create a big controversy going deep into the 12th edition of the IPL. Chasing 185 to win, Royals were 108/1 in 12.4 overs at that stage but finished on 170/9 in 20 overs. Rajasthan Royals head into the 12th edition of the Indian Premier League (IPL) on the back of a promising 2018 season. Despite their Aussie star, Steve Smith, serving out a one-year ban, the team managed to reach the playoffs. With Smith ready for a return to top-flight cricket, the Ajinkya Rahane-led team will be hoping to go a few steps further in IPL 2019. The Royals lacked proper all-rounders last season and thus they bought a barrage of all-rounders at the auction. Also, they have bought a lot of fast bowlers to strengthen bowling-attack. Talking about batsmen, the Royals will be dependent on the overseas stars once again. Smith, Jos Buttler and Ben Stokes are going to be the backbone of Rajasthan’s batting. The team also has more batting options this time around. Jasprit Bumrah hurt his left shoulder during Mumbai Indians’ first IPL 2019 match against Delhi Capitals at the Wankhede stadium and gave everyone a sleepless night on Sunday. However, the good news is that the fast bowler is fit as it was just a case of shoulder spasm. “He is fit and it was just a case of shoulder spasm, nothing serious at all. He is an integral part of both Team India and Mumbai Indians and with the World Cup round the corner, the management felt it was best to keep him away from the batting crease on Sunday,” the sources were quoted as saying by India Today. Moreover, Team India’s physio Patrick Farhart contacted MI physio Nitin Patel on Monday morning to know the status of Bumrah’s fitness. Even India skipper Virat Kohli and the team management was worried about the pace bowler. “Everyone was concerned and Patrick spoke to Nitin on Monday morning to gauge the situation and the future course of action as Bumrah is an integral part of the Indian team going into the World Cup in May. But, there is nothing to worry and he is likely to take the field in the next game,” the source added. Bumrah returned in 1/40 before sustaining the injury after his last delivery of the Delhi innings. He had stayed back in Mumbai itself as the franchise assessed his injury while the rest of the team left for Bengaluru on Monday. But now Bumrah will join the team on Tuesday ahead of their next game against the Royal Challengers Bangalore. Rishabh Pant smashed the fastest fifty against Mumbai Indians in IPL history when he reached the milestone off just 18 balls. He walked in to bat at number 5 for Delhi Capitals at the Wankhede Stadium on Sunday and took on a strong Mumbai attack only the way he could. Pant’s unbeaten knock of 78 came in just 27 balls and was laced with 7 sixes and seven fours as Delhi scored 213 for 6 in 20 overs. Earlier, the record for the fastest fifty against Mumbai Indians was held by Chennai Super Kings skipper MS Dhoni. In 2012, Dhoni had scored a fifty off 20 balls against the Mumbai side. Meanwhile, Pant’s innings against Mumbai will surely hold him in good stead for a World Cup birth. The Indian team still hasn’t sorted its middle order out and a couple of more such knocks from the Delhi lad could seal a spot for him in Virat Kohli’s team. Rishabh Pant scored just one run off his first 5 balls, but thereafter?